Human-centered design is both a methodology and a mindset. As a methodology, it gives people the tools to create innovative and practical solutions to complex problems. As a mindset, it encourages would-be designers to identify with the people they are trying to help and emphasizes the importance of research and collaboration. 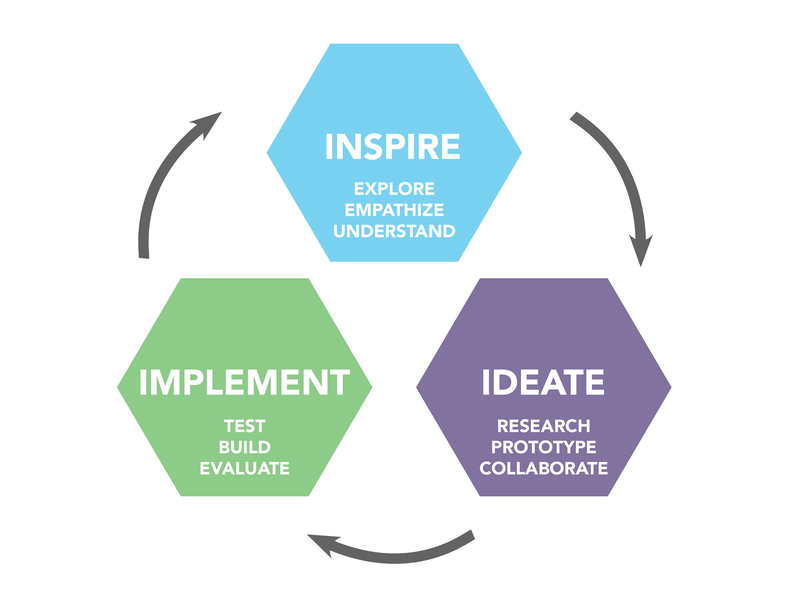 The human-centered design process consists of three core stages: inspiration, ideation, and implementation. Inspiration is an essential phase, where a designer will learn to understand and empathize with the people and communities they are designing for by observing their lives and situations, and listening to their desires, fears, and questions about the project. Ideation is the idea-generating phase that involves lots of research and collaboration— designers will learn to evaluate their ideas, as well as test, consolidate, and refine their solutions. The implementation phase is all about the big picture, focusing on the logistics of bringing a solution to life and figuring out the best way for it to have the maximum impact. The process certainly seems complex and is difficult to envision, but there are a huge variety of tools designers can use along the way— such as conducting interviews, working in teams of people with varied skill sets, creating prototypes of ideas and potential solutions, and seeking out feedback from many different sources. A whiteboard here at the EMC showing part of the inspiration process. Human-centered design can be viewed as an incubation process for a creative, innovative, and empathetic solution to a complicated and even intractable problem. It helps people learn how to take intellectual and creative risks, how to embrace ambiguity and non-linear thinking. Most importantly, it allows designers to help communities and individuals in tangible and impactful ways. 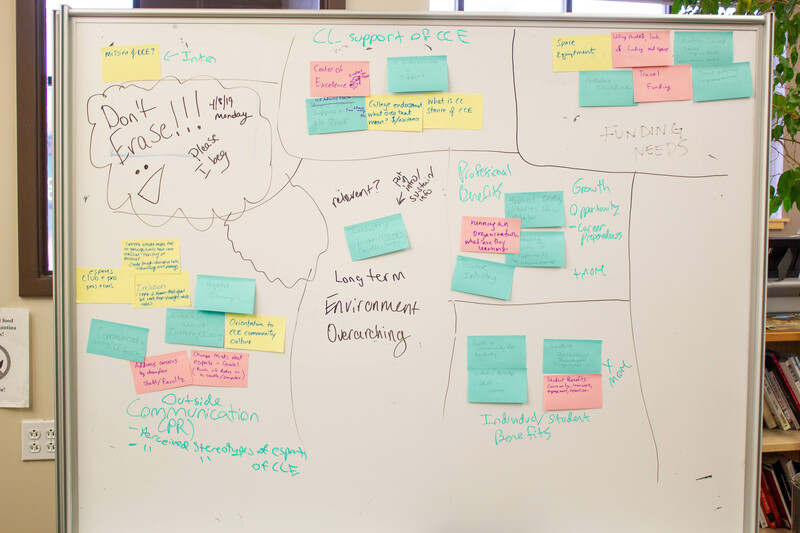 This blog is the first in a 2-part series introducing the concept of human-centered design and how it relates to our work here at the EMC. Please stay tuned for the next update!